The Graphix II Workstation is built for multitasking. The dual top surface creates space for multiple projects at once and the durable heavy gauge steel construction is built to last. 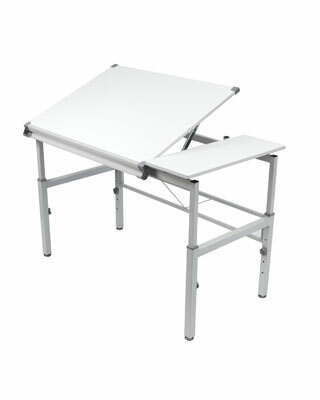 Adjust the height of the table up to 38.75" to fit your needs. Available with a 36"W x 24"D Angled Top with 11.5"W Flat Top.